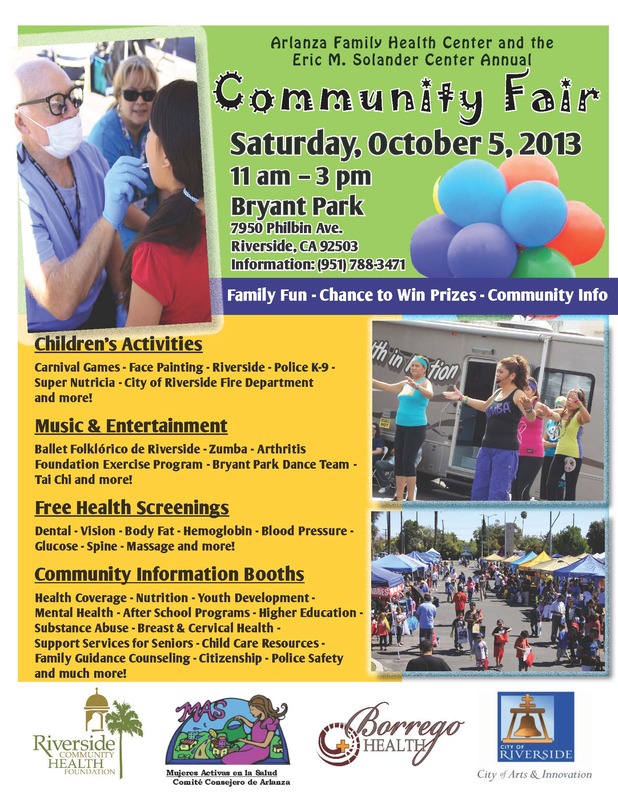 Arlanza Community Fair Oct. 5th! Riverside Community Health Foundation and the City of Riverside Parks, Recreation, and Community Services Department team up for their Annual Arlanza Family Health fair this coming Saturday at Bryant Park! Everyone is welcome! Ballet Folklórico de Riverside – Zumba – Arthritis- Foundation Exercise Program – Bryant Park Dance Team – Tai Chi and more! Dental – Vision – Body Fat – Hemoglobin – Blood Pressure -Glucose – Spine – Massage and more!